Do you think you might be developing or have been diagnosed with cataracts? Does your pet suffer with cataracts? Are you worried about going through risky and expensive surgery to remove them? You are not alone. Changes in the eye lens affects millions of people and animals worldwide. 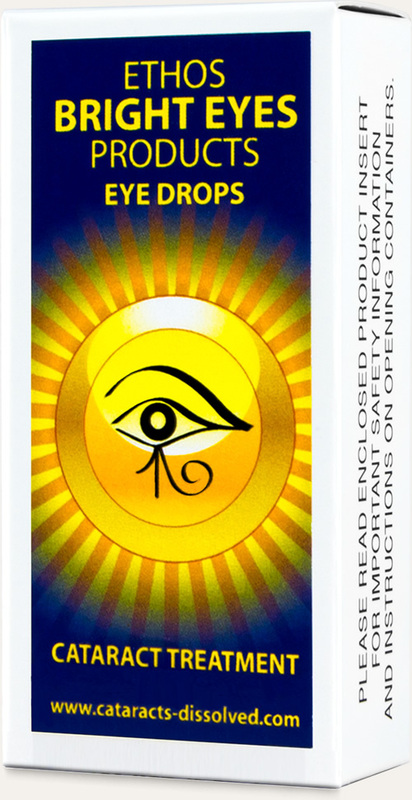 The painless, safe and stress-free alternative to traditional invasive procedures is Ethos Bright Eyes Products - Cataract Treatment Eye Drops. This unique formulation of natural lubricants and powerful antioxidant N-Acetyl-Carnosine can not only reduce cataracts, but can also prevent cataracts, assist in preventing macular degeneration, helps clear eye floaters, and reduce eye pressure related to Glaucoma. It can also be used to effectively soothe and rejuvenate tired eyes of any cause. Thousands of people are diagnosed with Macular Degeneration (or AMD) every day. 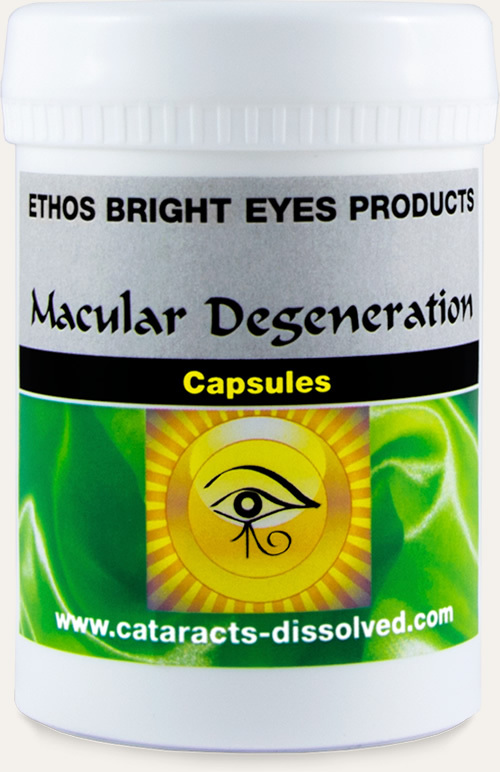 You can significantly improve macular pigment density by eating a diet of Lutein and Zeaxanthin rich foods, but the simplest way to ensure you are getting optimum levels is to take Ethos Bright Eyes Products - Capsules for Macular Degeneration. 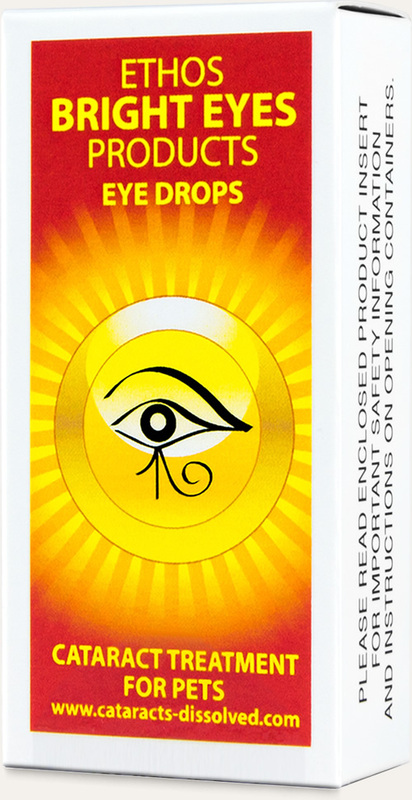 Use in conjunction with our Ethos Bright Eyes Eye Drops for a powerful combination. A low level of Ignotine in the body plays a large part in the ageing process in people and animals. You are born with a high level of Ignotine but this naturally decreases with age. 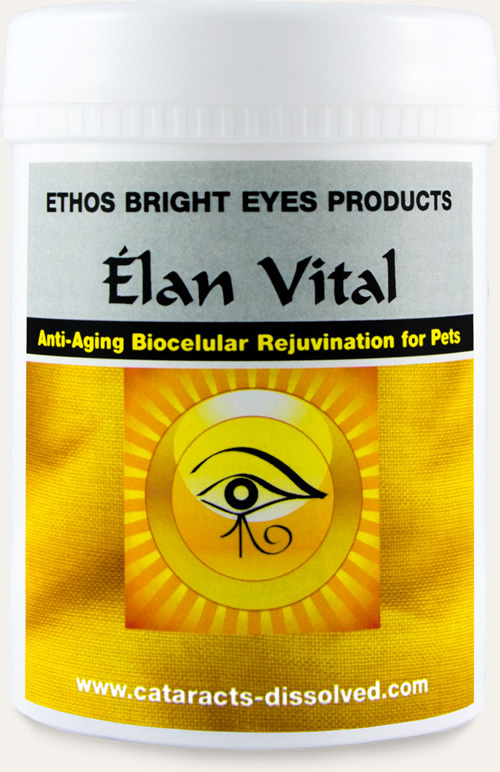 Eating foods high in anti-oxidants can replenish Ignotine to some extent, but daily supplementation of Ethos Bright Eyes Products - Élan Vital means you can be sure yours or your pet’s body has its best chance against ageing and degenerative diseases. 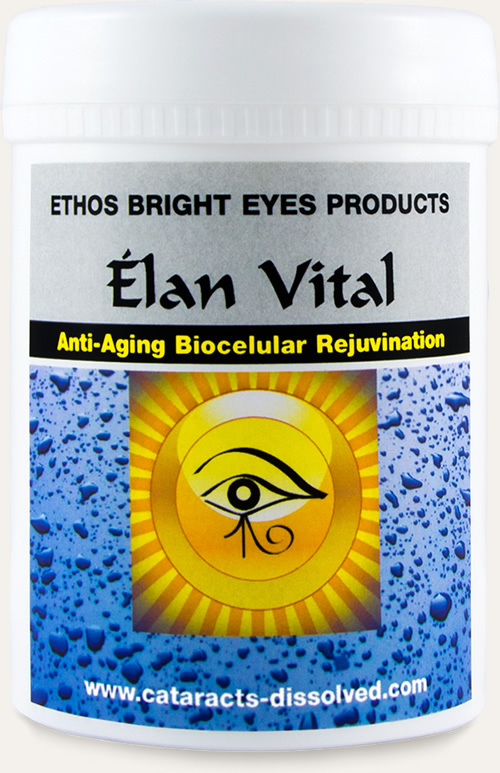 Our Élan Vital supplement contains the purest natural form of Ignotine available, and as the only formula scientifically proven to rejuvenate cells, we believe it is the most advanced supplement available to protect and extend the functional life of your body's key building blocks.